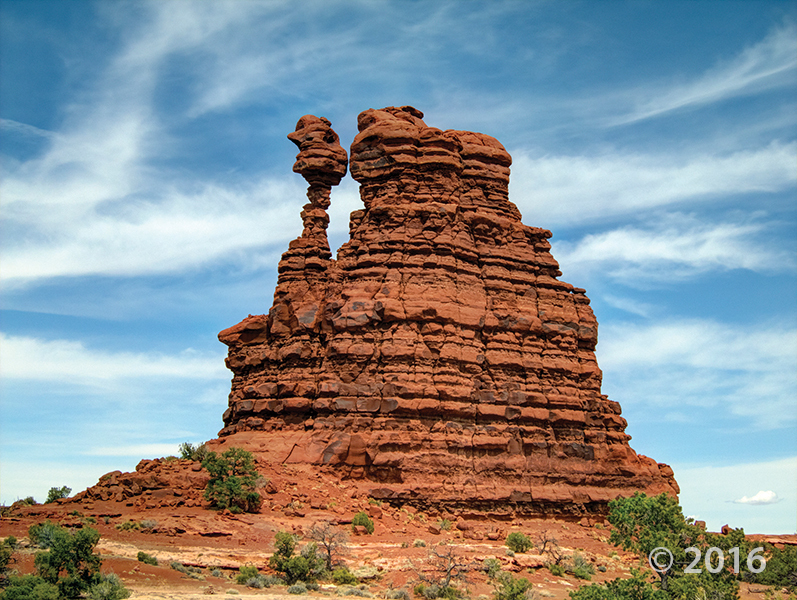 Columns of Permian-age Organ Rock Shale seemingly defy gravity in the Land of Standing Rocks in the remote Maze district of Canyonlands National Park, Wayne County. 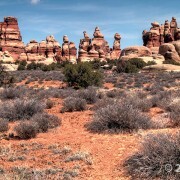 Things are humming right along at Arches National Park. 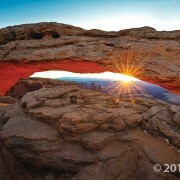 That is, scientists who wondered about possible internal damage in the 88-foot-long Mesa Arch at Canyonlands National Park-one of more than 2,000 sandstone arches in two national parks in that part of Utah–now have an answer. 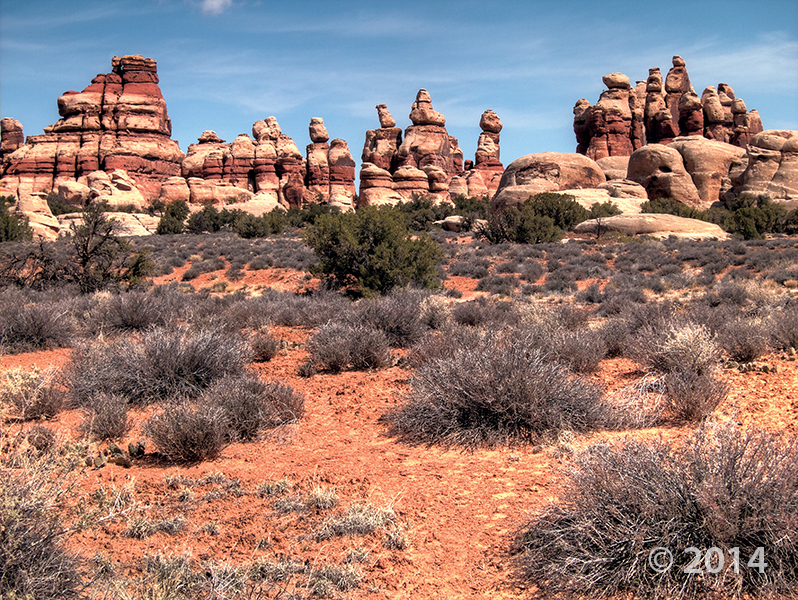 They learned by employing seismometers to hear the arches’ natural humming, then monitored the sounds for telling changes. Their report was recently accepted for publication in the journal Geophysical Research Letters. 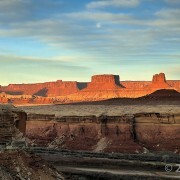 We woke up on the right side of the bedrock today! 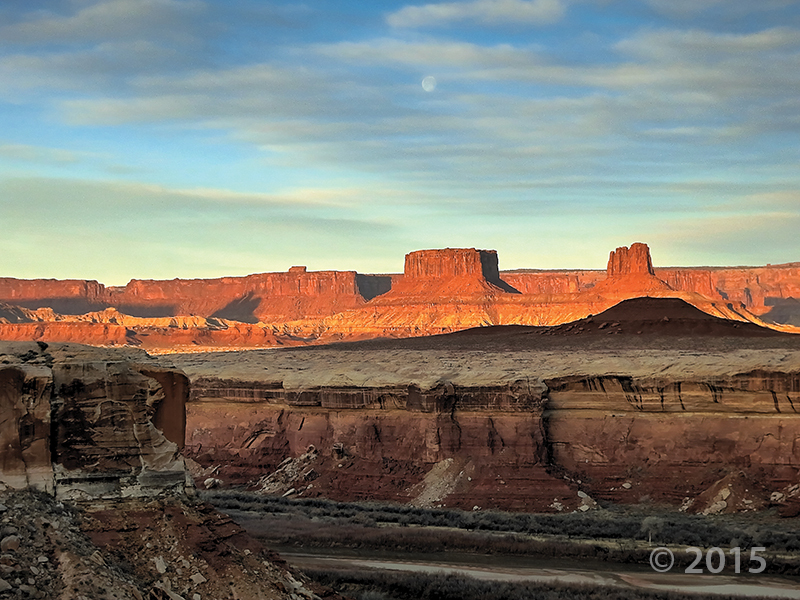 Mesa Arch, in the Island in the Sky District of Canyonlands National Park, formed as surface water pooled and eventually eroded through bedrock at the mesa’s edge. 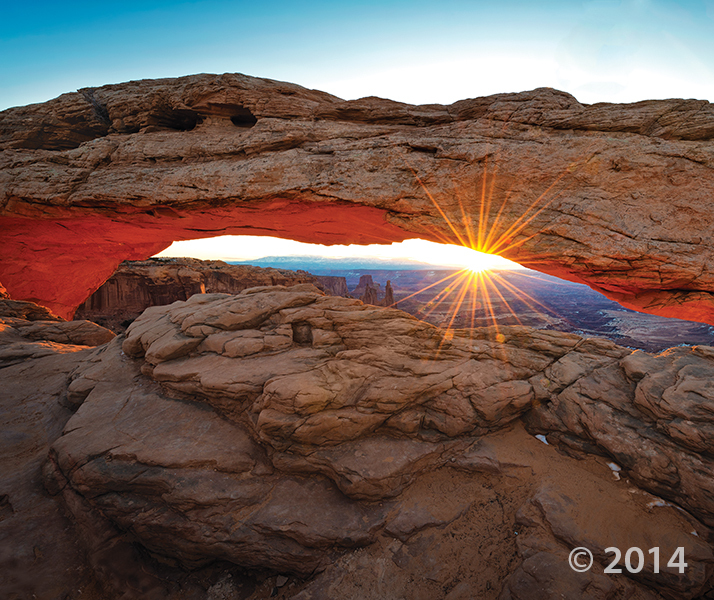 As the sun rises, its rays reflect off the 800-foot-high cliff of Jurassic-age sedimentary rock below the arch, bathing the bottom of the arch in an orange glow. For those of our friends that can’t get out into the outdoor wonder-world this weekend, here are some stunning photos to keep you company. Not everyone grows up with this kind of doll house! 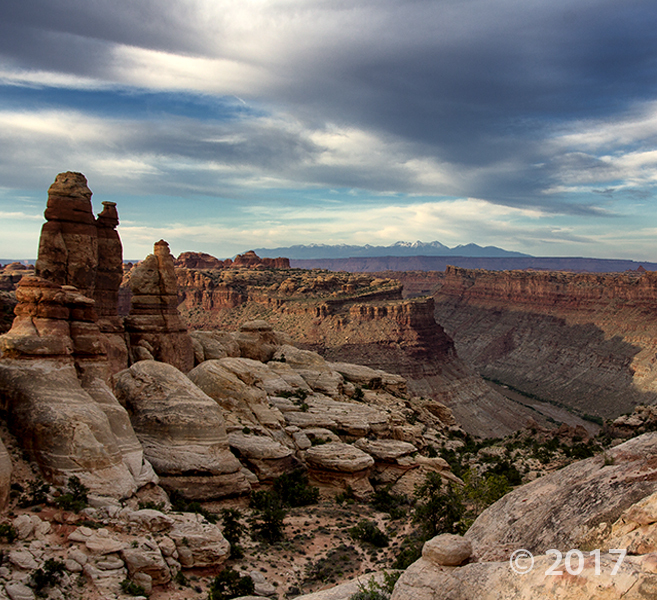 We’re having southern Utah geology day dreams today. 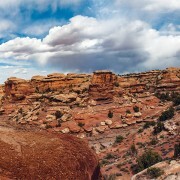 Baked by time like some multi-layer geologic tort, Canyonlands National Park in southeastern Utah features a landscape cut by canyons, rumpled by upthrusts, dimpled by grabens, and even pockmarked, some believe, by ancient asteroids.